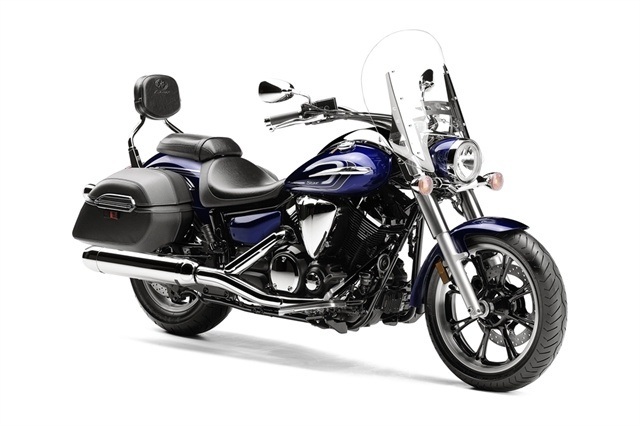 "THE BENCHMARK IN THE ENTRY CRUISER TOURING CLASS." 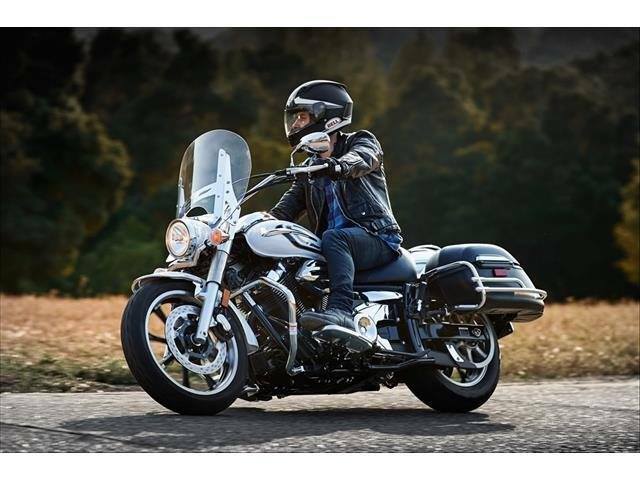 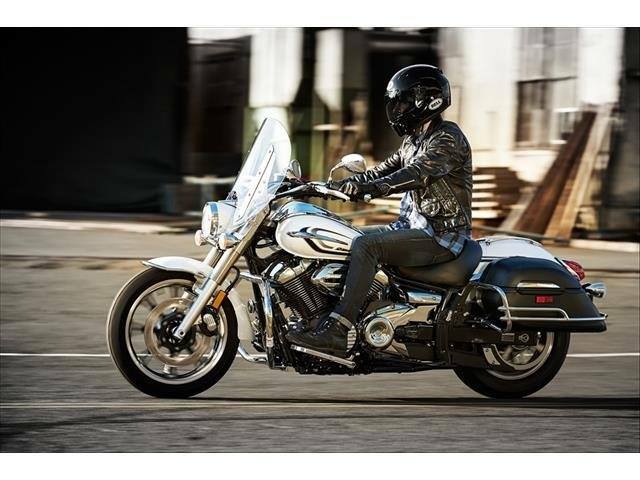 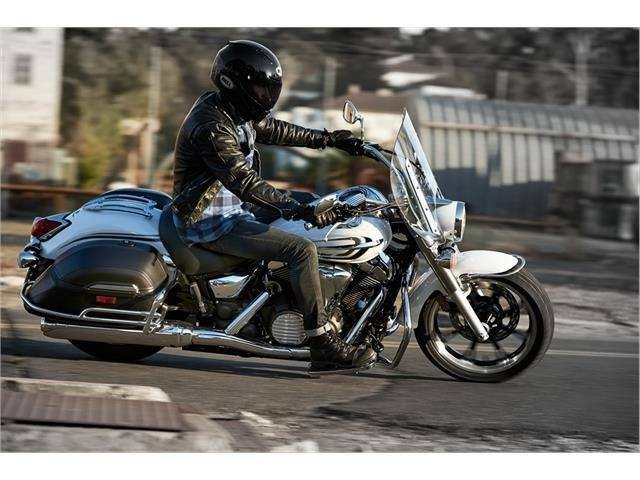 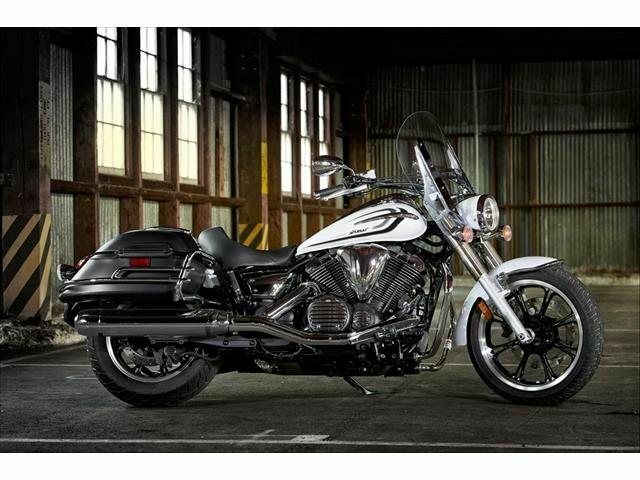 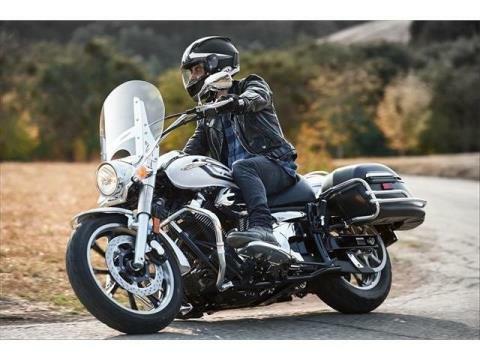 - TotalMotorcycle.com The V Star 950 Tourer offers serious middleweight performance and style in a confidence-inspiring ride. 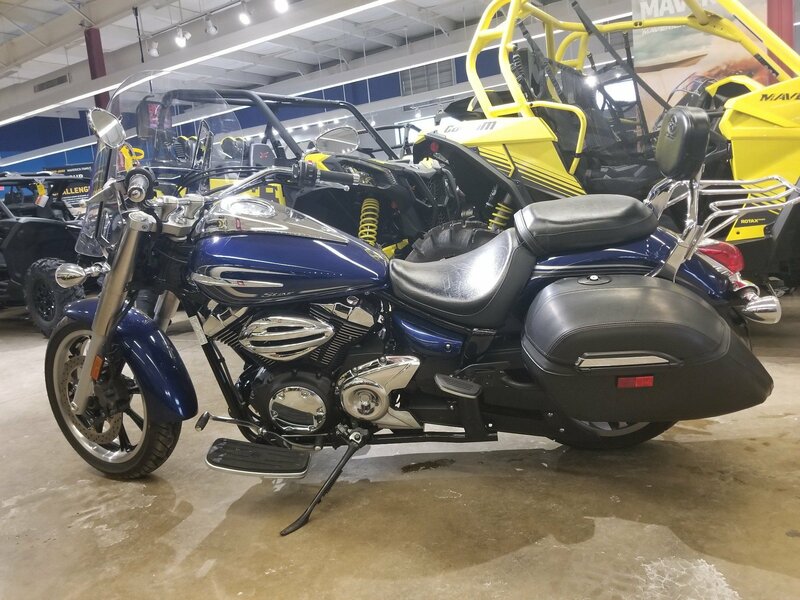 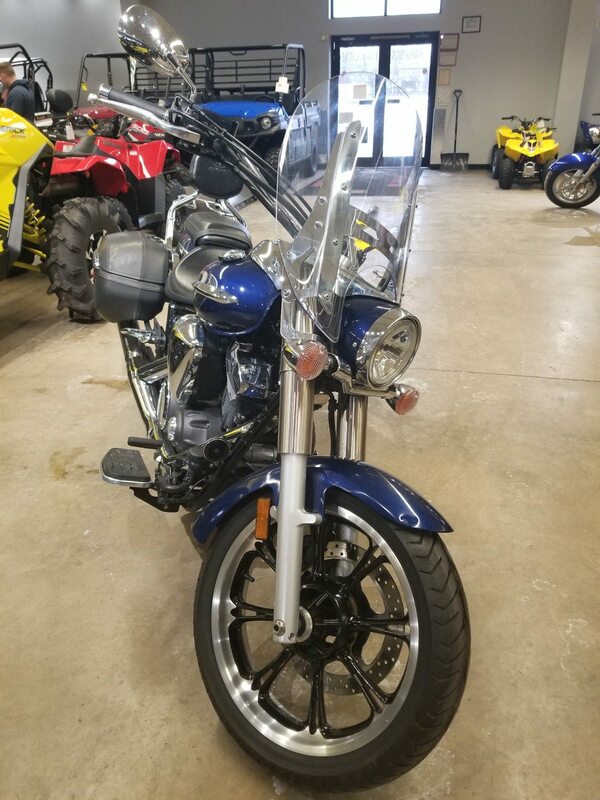 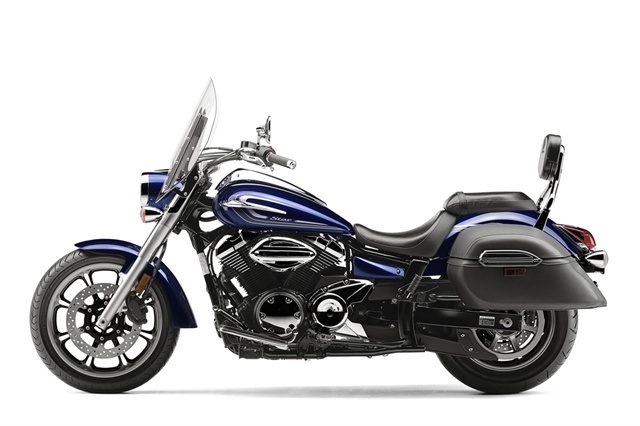 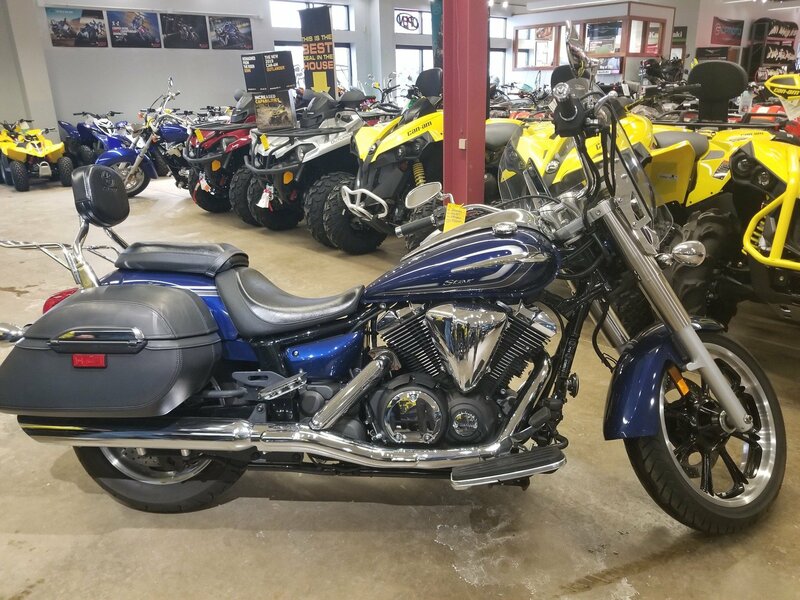 Lightweight, easy handling and a low seat appeal to new riders, while veterans appreciate the windshield, big locking saddlebags and passenger backrest. Perfect for commuting, exploring back roads, and overnight venturing. 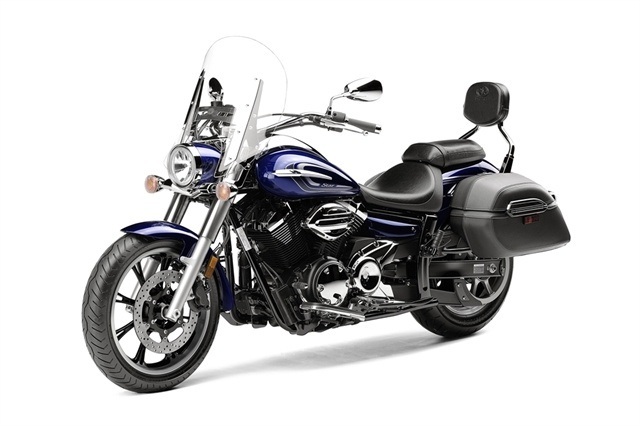 The 58-cubic inch (942cc) engine is an air-cooled SOHC 60° V twin. 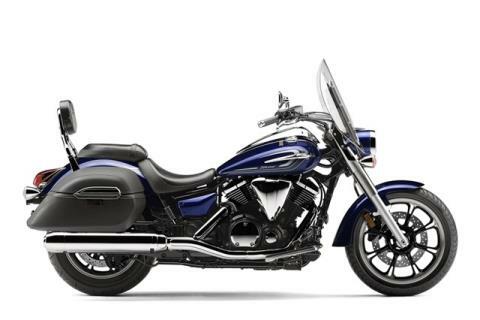 With four valves per cylinder, a pent-roof shaped combustion chamber, and 9.0:1 compression ratio, this engine has been carefully designed to produce excellent power characteristics, and best-in-class acceleration.